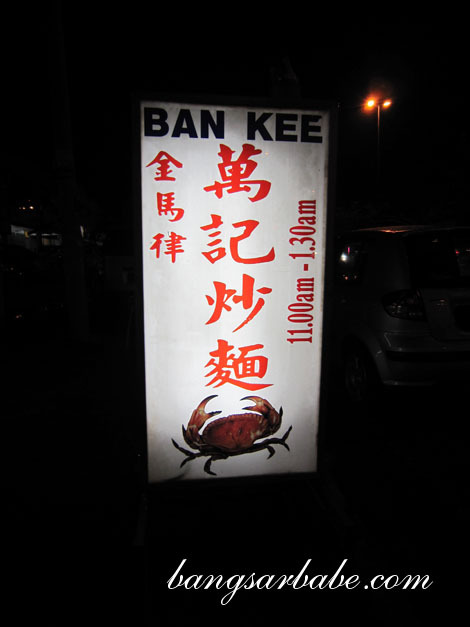 While having fried chicken rice at Restoran Soon Seng in Jalan Gombak, we noticed a signboard inside with the sign “Campbell Road Ban Kee” that serves tai chow at night. We checked out the place a few weeks later and I was hardly impressed. It wasn’t the shabby condition of the place that put me off, but rather, the service we received from the owners and staff. To order, you need to understand that “they are doing you a favour by feeding you”. If you think you’re doing them a favour by patronizing their humble shack, then you need to realign your expectations with theirs. Our food took more than 30 minutes to arrive, despite the 70% restaurant occupancy. And it was nothing to shout about. 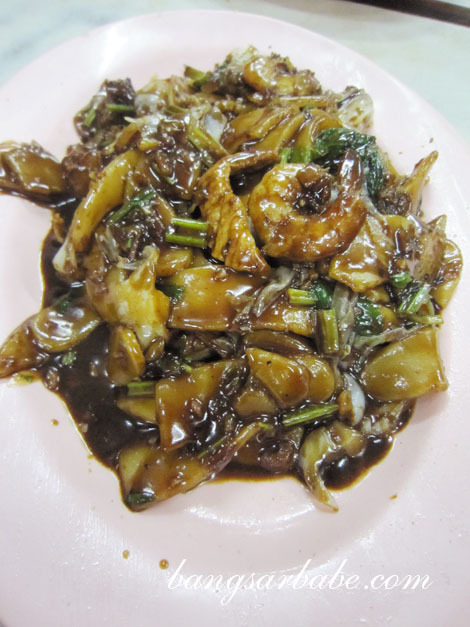 I’ll start with the Hokkien Mee, which was too wet with hardly any wok hei. 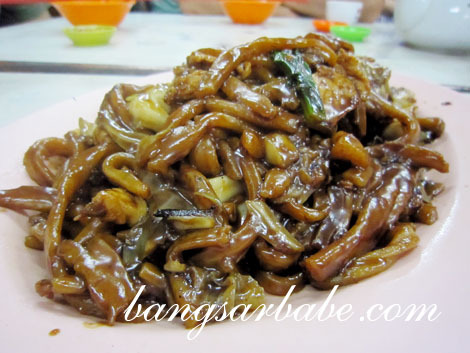 No better was the Fried Pak Kor Noodles, also known as fuchow noodles to the Hock Chew. Not only was this too wet, the noodles were also soggy. Very overcooked. 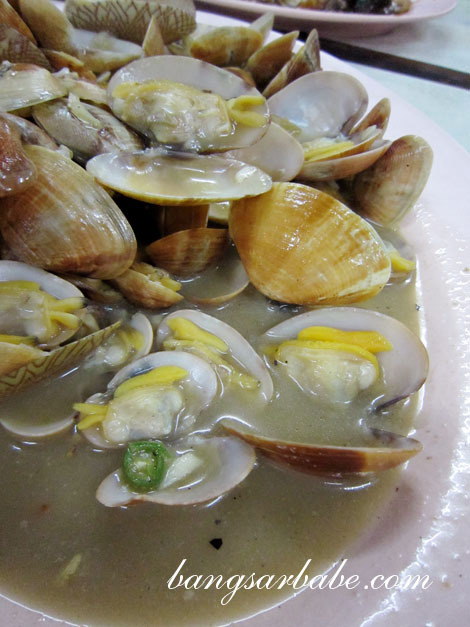 The Siong Tong La La was better, but the gravy lacked oomph from the rice wine and cili padi. Oh well, at least the lala was fresh and plump. The Salted Egg Yolk Mantis Prawn was uninspiring. 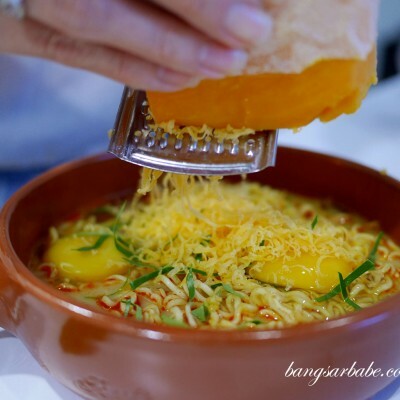 I found the batter heavy with barely any salted egg yolk taste. 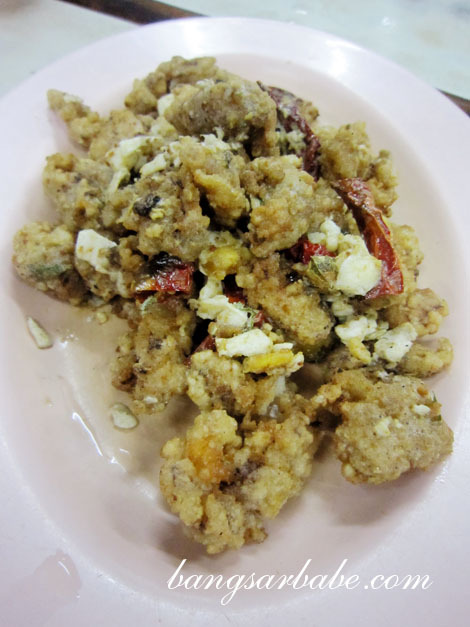 Quite a bit of the salted egg ended up in small clumps. Not sure if that was intentional, but it wasn’t for me. My mother in-law said the Fried Oyster was too wet for her liking, but rif, his father and I found it okay. 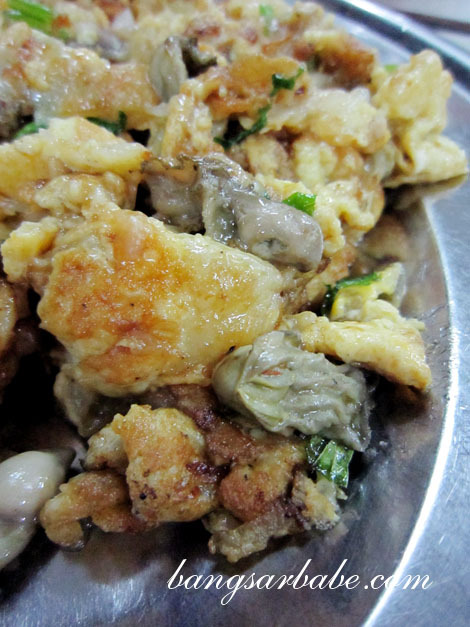 If you’re used to crispy fried oysters, this might come as a shock. Dinner was hardly impressive, and the bill emptied RM91 from my wallet. Not cheap at all. Verdict: Keep your expectations low and you’ll be fine. 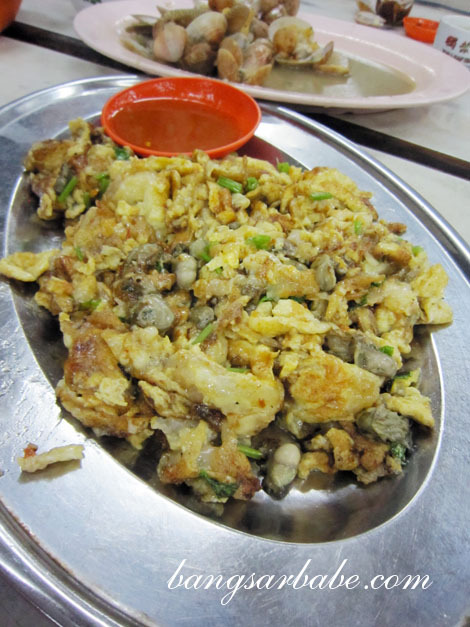 I hate thick batter when come to fried stuff! Would have a doubt eating at places like this because you never know what they might ”add” to your food, if they think you are a bit ”laan sii”,lol.